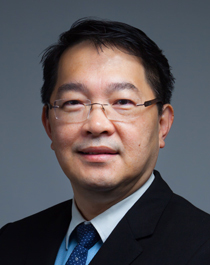 Adjunct Associate Professor Aaron Wong is the Head and Senior Consultant, Department of Cardiology and the Director of Interventional Cardiology at the National Heart Centre Singapore. His sub-specialty interest is in interventional cardiology. ​Adj Assoc Prof Wong graduated with his Bachelor of Medicine and Surgery from the University of Melbourne in 1991. Adj Assoc Prof Wong obtained his Membership of the Royal College of Physicians (United Kingdom) in 1995. He did his fellowship at the Box Hill Hospital, Victoria, Australia in 1996 and is a Fellow of the Academy of Medicine (Cardiology), Singapore since 2003. He is also an Adjunct Associate Professor at the Duke-NUS Medical School.